By 2590 BCE, the Fourth Dynasty is in full swing. Sneferu’s son, Khnum-Khufu now comes to power; like his father, he decides to surpass his predecessor as best as possible. 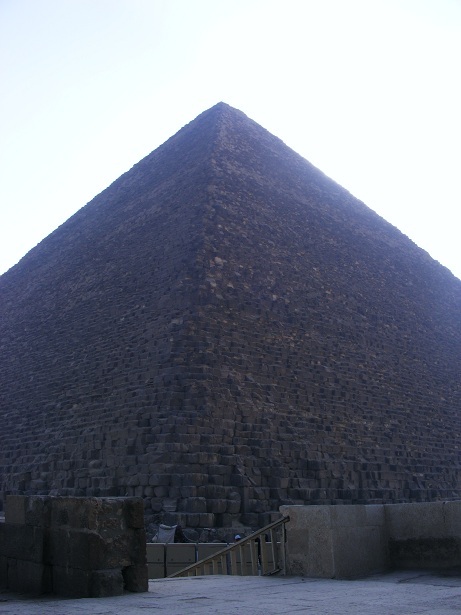 Khufu reigns approx. 24 years, and in that time Egypt’s most famous monument takes shape… We delve into the planning, organization and working environment of this enormous construction project. The only surviving image of Khufu (source: the Cairo Museum; Wikipedia). 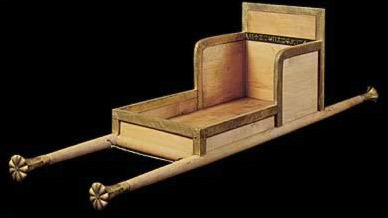 The carrying-chair of Queen Hetep-heres, mother of Khufu (Source: Cairo Museum). 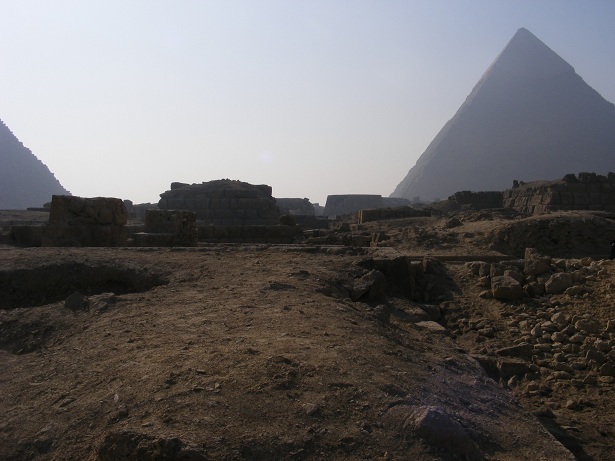 The Pyramid field at Giza, where mastaba-tombs of officials stretch west of the three great pyramids. 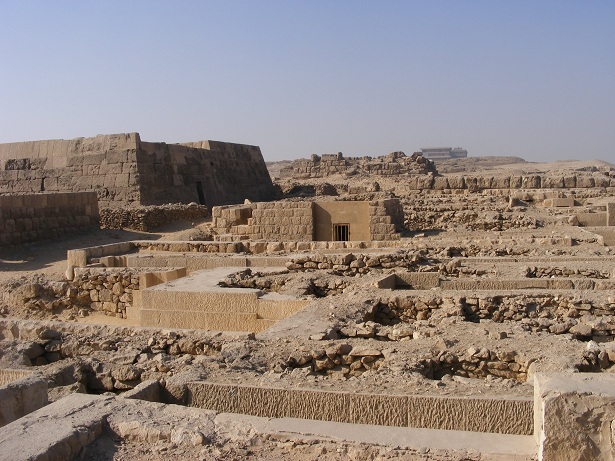 The mastabas west of Khufu’s pyramid. A knife inscribed for Khufu, discovered at Giza in the Valley Temple of Menkaure (Source: the Boston Museum of Fine Arts). Nicolas Grimal, A History of Ancient Egypt, 1994 (Amazon). Mark Lehner, The Complete Pyramids, 2008 (Amazon). Gay Robins, The Art of Ancient Egypt, 2008 (Amazon). John Romer, A History of Egypt: from the First Farmers to the Great Pyramid, 2013 (Amazon). Toby Wilkinson, Early Dynastic Egypt, 2001 (Amazon). David Wengrow, The Archaeology of Early Egypt, 2006 (Amazon). Robert Wenke, The Ancient Egyptian State, 2009 (Amazon).